This photo was taken from Friendship Park, near downtown Kiev. 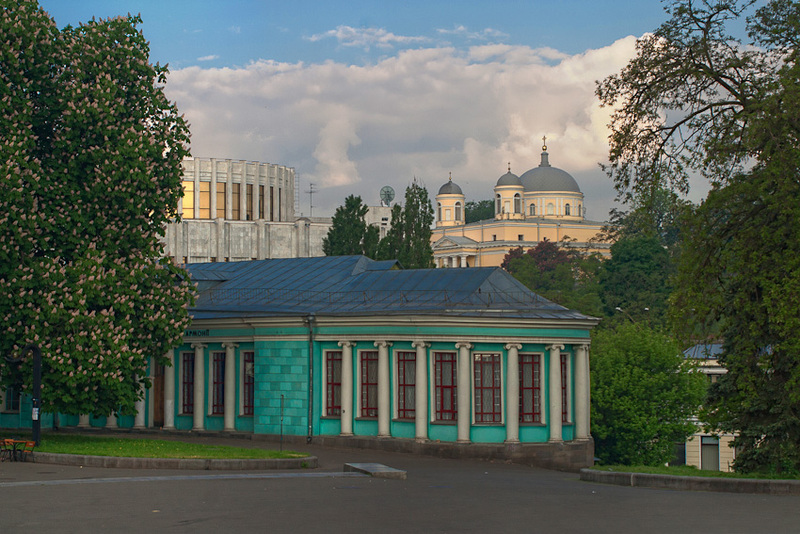 The blue building is part of the Kiev Philharmonic building, the building with the gold windows on the left is Ukrainian House, currently used as an exhibition center (formerly the V.I. Lenin Museum), and the building in the upper right is St. Alexander R.C. Church.